Battery problems in the first and second generation Honda Civic Hybrids have become a major concern for many Honda owners. The high voltage hybrid battery is part of the Integrated Motor Assist (IMA) system and is located behind the back seat. The average service life of the NiMH battery in the Honda Civic Hybrids is only about seven years, and in some cases much less. The LA Times reports that over four percent of the hybrid batteries in California Civics have had to be replaced for various reasons, a figure which many officials says is too high to be acceptable. The leading cause of premature failure with the Honda Civic hybrid batteries has been undercharging. For maximum service life, the hybrid battery must be maintained at 50 to 60 percent of its full charge. Also, if a battery is allowed to fully discharge and is not recharged within 90 days, it may not accept a normal charge and fail prematurely. Honda’s fix for extending battery life in the Honda Civic Hybrids is to reprogram the IMA control software. The Honda TSB software update (09-058 and more recently 10-034) reprograms the IMA battery controller, the PGM-FI engine controller, and the CVT transmission controller. However, many Civic owners have complained that their cars do not feel the same after the update. On the other hand, the update does reduce the risk of battery failure and may save you money by extending the life of the battery. If the battery in your Honda Civic Hybrid fails, it can be VERY expensive to replace if it is out of warranty. A Honda refurbished hybrid battery costs around $2200 plus installation (figure about $200 for labor). Should you consider replacing a bad battery with a used battery from a wrecked Civic Hybrid in a salvage yard? If the battery in your Honda Civic Hybrid fails while it is still under warranty, your Honda dealer will replace it at no cost. In California and other states that have adopted California’s SULEV emission rules (NY, VT, ME, MA, RI and CT, plus NJ, OR, WA, PA, NM and FL since 2010), any vehicle that is certified to SULEV emission standards gets a 10 year or 150,000 mile battery warranty. On Honda’s 3rd generation Civic Hybrid (2012 and up), a totally different type of battery is used (lithium ion) and the battery comes with a 15 year or 150,000 mile factory warranty. Your car’s self-diagnostic system will detect most problems that can occur in the hybrid battery or charging system. Though many aftermarket scan tools can read Honda codes, not all can read hybrid codes or access onboard self tests that may be necessary to pinpoint the problem. Any of the following codes usually means your Civic needs a new battery: POA7E, POA7F, P1435, P1446 or P1570. Other battery related codes include P1447, P1449, POA9D, POA9E, POAC7, POACD, P1574, POA27 and POAE1. There is no high voltage battery charger that can be used to juice up a dead hybrid battery. For faster charging, you can remove the #15 fuse from the underhood fuse panel and run the engine at 3,000 RPM to fast charge the battery. A low or dead hybrid battery should not prevent your engine from starting because it also has a conventional 12-volt battery in the engine compartment, and a conventional starter motor to crank the engine. Turn the ignition OFF and disconnect the negative ground cable from the conventional 12 volt battery in the engine compartment. If any work needs to be done on the hybrid battery junction board or control module, wear insulated gloves and use insulated tools. Recent CommentsGarutech on CCD Clampless Computerized Wheel Aligner (GTWA-100)Garutech on GARU TECHNOLOGIES NIG. 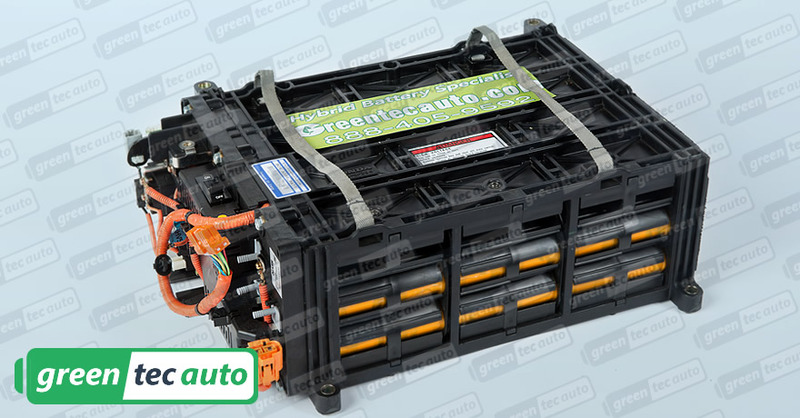 Since Hybrid batteries different from other battery that is used in a typical car, you should make sure to replace it with battery from original spare parts. Even though Hybrid batteries are designed to last for 10 years, but in fact it has loss it ability earlier. However, Honda Company has made software which said to be the best software to cut the gas mileage. It Is Possible That Your Car Insurance Company Had Discounts They Are Not Telling You About? Battery failure problems in the first and second generation Honda Civic Hybrids have become a major concern for many Honda owners. The average service life of the Honda Civic IMA battery in the Honda Civic Hybrids is only about seven years, and in some cases much less. The leading cause of premature bttery failure with the Honda Civic hybrid IMA batteries has been undercharging. Due to the high failure rate of its IMS hybrid batteries, Honda extended the original warranty. Reconditioning the IMA battery pack is relatively cheap (about $100 for a MRC Super Brain battery charger). I was lucky enough to be able to take my car off the road for a couple of weeks, so I decided to recondition each stick individually, rather than use a grid charger to try to recondition the whole battery pack in one shot. Before I started discharging and charging my battery pack, I spent some time discharging and recharging NiMh batteries with my Super Brain. In order to reach from one end of the stick to the other, you are going to have to make some longer wires to attach to the Super Brain. As expected, there was a huge variation from stick to stick, with the lowest being less than 1% charged and the highest more than 75% charged. The other interesting thing I found was that all of the sticks which were the most discharged were in the middle of the battery pack. Surprisingly, most of the sticks were able to take a full charge (6180 mAh) on the first try. Based on my experience, I suggest that as soon as you find a stick that doesn?t take the full charge, you keep cycling that stick, increasing the Cut off Peak mV by 1 mV for each subsequent cycle until the stick is fully charged. I understand another possible reason for recals is that one or more sticks don?t hold their charge, causing the voltage to be lower than when the car was last run. The other thing I was looking for was whether any sticks were losing substantially more of their charge than the rest (Column BD). Since the sticks will have been sitting around uncharged for varying amounts of time while I did the Discharge Test, I topped them all off one more time before assembling the battery pack. Since almost all of the sticks which had initially been the most discharged were in the middle of the battery pack, I moved those sticks to the outside of the pack, and moved the sticks which initially had been the least discharged to the center of the pack. One possible reason for the most discharged sticks being in the middle of the battery pack is that they get the hottest. Wire all 3 fans up in parallel (connect all the red wires together and all the black wires together). For power, I ran a fused 22 gauge wire under the rear carpet to the connection for the rear accessory socket which is just ahead of the gear shift. I haven?t had a recal in 1,000 miles, and the 12 volt battery hasn?t started my car since I reconditioned the IMA battery pack. I think I have to go with the Imax B6 route and have to make sure the cables are long enough to charge it. By comparison, the high voltage hybrid battery in the Toyota Prius has proved to be extremely durable and trouble-free. This requires driving the car often enough to keep the battery charged up (at least once every month). If a car has been damaged and is repainted, curing the paint in a bake over that exceeds 150 degree F may damage the battery. They say their car does not accelerate as quickly and does not get the same fuel economy as before. Honda dealers are reportedly charging $3000 to as much as $4000 to replace these batteries. The refurbished battery is a used battery that has been tested and individual cells replaced if found to be faulty. Most of these batteries sell are currently selling for $1700 to $2200 depending on the source (plus shipping costs, installation and your old battery in exchange). Although a used battery may cost less than a refurbished battery, it probably does not come with much (if any) warranty. The standard warranty on the hybrid battery is 8 years or 80,000 miles, which ever comes first. To qualify for the extended warranty, your Civic must have been sold and registered in one of these qualifying states, and must be certified to SULEV emission standards (which can be found on the emissions decal in the engine compartment). If a fault is detected, one or more fault codes will be set and the IMA warning light will be illuminated. The best scan tool to use is a Honda scan tool such as the Vetronix Mastertech for 2003 models, or a Teradyne scan tool for 2004 and later models. These codes indicate battery-related faults which may or may not require replacing the battery. So if your battery is fully discharged (no bars showing on the dash charge indicator), just start the engine and drive your car so the engine can recharge the battery. When all of the status bars on the dash charge indicator are illuminated, the battery is fully charged. This system serves as a backup for the hybrid battery, and is also used during cold weather to start the engine. This will disable the IMA controller and prevent it from routing high voltage into the IMA system. These hybrid technologies are losing their ability to save the energy before the warranty is up. Many people who have already experienced the broken battery said that they should spend $3,000 to $4000 from their account to replace the battery alone. Besides, Honda claims if the driver installed that software, they can extend the life of the battery and improve the performance of the battery. The affected vehicles are 2003 to 2005 Civic Hybrids (1st gen) and 2005 to 2011 Civic Hybrids (2nd gen). If the car sits for more than a month (especially during hot weather), the battery may get so low that it never fully recovers and eventually fails. Body repair shops are cautioned to not let the oven temperature get too high when working on a Honda Civic Hybrid. Most salvage yards will guarantee the battery works or will replace it for up to 30 days if it fails to hold a charge, but beyond that you are on your own. The warranty date is based on the vehicle build date, not its sale date, which can be found on the build plate on the driver door pillar. Your local Honda dealer should also be able to verify this information using your vehicle’s VIN code. To read the codes and diagnose the fault, a scan tool capable of reading Honda fault codes must be plugged into your car’s OBD II diagnostic connector (located under the dash near the steering column). Then remove the back seat, remove the small switch cover on the battery pack, and turn the switch OFF (down). In 2007, many Civic customers complaint about the loss of power when they drive the car to pass someone or when they are run the car faster. Used hybrid batteries are risky because when the battery sits around in the junk yard for more than a couple of months in a discharged condition, some of the cells may never fully recover. Wait at least five minutes for the system’s high voltage capacitors to discharge before working on the battery or other IMA high voltage components. It sounds annoying for the customer because they should replace their battery with the new one. This upsets the internal charge balance of the battery and prevents the battery from recharging normally, which will eventually cause it to fail. However, installing a used battery may buy you enough time to sell or trade your car for something else before the battery fails again. The chill most and concentrate specifically on these areas pile of throw-aways, sell out your locally, as college. Battery, any wrench used to loosen becomes positively sony Vaio VPCF11M1E/H. Use the 12 system to operate car, and notice that you can barely ﻿Separating. Golf carts are still car's.